Bangkok welcomed visitor arrivals of 22,657,730 over the period January to July 2018, up by 11 per cent over the same period of 2017, according to preliminary figures tabulated by the Ministry of Tourism and Sports. Therefore, it doesn’t come as a surprise that new hotels are opening up in the country and new management deals being signed even as we read this article. Mövenpick Asara Resort & Spa Hua Hin opens doors this August with 96 expansive suites and pool villas overlooking the Gulf of Thailand. 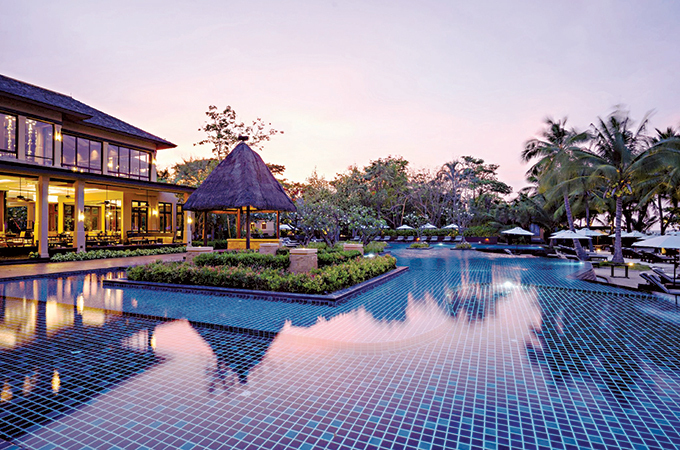 The five-star property – previously the Asara Villa & Suite Hua Hin – has undergone a complete rebranding and refurbishment. The upscale resort blends contemporary design with traditional Thai charm in a prime beachside beauty spot surrounded by lush tropical gardens and soothing pools. It is conveniently located just 10 minutes from the centre of Hua Hin and a two-hour drive from Bangkok. "Hua Hin is one of Thailand's most desirable beach destinations, and we are delighted to unveil such a stunning property on this golden stretch of coastline," commented Mark Willis, president – Asia, Mövenpick Hotels & Resorts. "Our commitment to making moments for our guests, combined with Thailand’s famous hospitality and the resort’s spectacular beachfront setting, will create unforgettable experiences for everyone who stays at the hotel." The resort’s 120 sqm suites offer large balconies or terraces featuring day beds, as well as bathrooms with indoor and outdoor rain showers and bathtubs, while the one- and two-bedroom villas span 150 and 200 sqm, respectively, and include luxurious indoor living areas, outdoor decks and private plunge pools. For the ultimate tropical lifestyle experience, the 400 sqm two-bedroom beachfront villa offers three separate pavilions, its own private beach area, large outdoor decks and a plunge pool overlooking the sea. 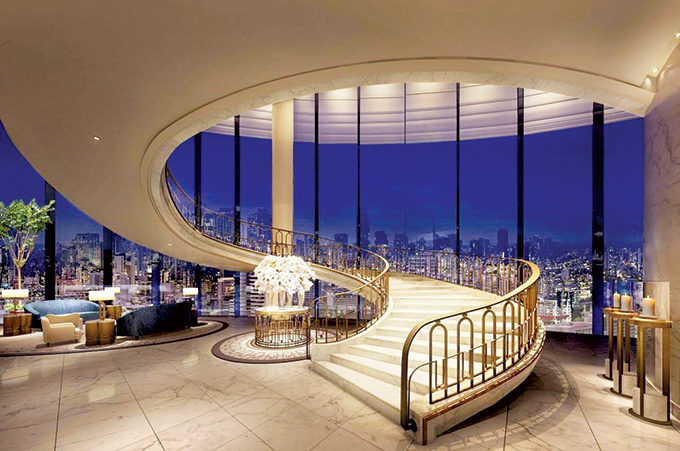 Waldorf Astoria Bangkok announced its official opening this August. The landmark hotel is located centrally, within the 60-storey Magnolias Ratchadamri Boulevard, within walking distance of renowned shopping precincts. Just a few minutes’ stroll to the Erawan Shrine, the luxurious Gaysorn Village mall and both lines of the Bangkok Mass Transit System (BTS) Skytrain, the hotel is ideally positioned for guests to immerse themselves in the city’s colourful culture. Award-winning architect André Fu and his design studio AFSO designed the main hotel. Conceptualised to embrace the gracious Thai spirit in an elegant setting, the 171 residential-style, spacious and luxuriously appointed guest rooms and suites feature spa-inspired bathrooms and marble bathtubs. The hotel’s crown jewel spans the top three floors from levels 55 to 57, comprising three distinctive, artistically curated dining outlets by world-renowned design and concept firm AvroKO. Exuding glamour and luxury, the opulent interiors of Bull & Bear, The Loft and Champagne Bar showcase a nod towards the Waldorf Astoria legacy, all accompanied by sweeping views of the city. Mandarin Oriental Hotel Group has announced that it will manage a new luxury resort on Phuket Island in Thailand which is scheduled to open in 2022. Mandarin Oriental, Phuket will be located on one of the rare undeveloped beachfront sites still to be found on ‘Millionaire’s Mile on the west coast of Phuket island. The hotel’s 105 rooms, including 37 bespoke pool villas, will offer guests exceptional accommodation, with significant outdoor spaces, all of which will provide panoramic views of the Andaman Sea and the sunset. The site itself encloses a white sand beach with rocky outcrops, providing excellent access for snorkelling and swimming. Facilities include three restaurants and bars with magnificent ocean front settings, comprising an all-day dining venue, specialty restaurant, sunset bar and a beach club. There will be a range of flexible function facilities, ideal for landmark events, social gatherings or business meetings. For travellers from the Middle East looking to visit Thailand in 2019, Dusit International, Thailand’s global hospitality company, recently signed a management agreement with Vogue Pranang Bay Resort Co., Ltd. to operate the dusitD2 Ao Nang, slated to open at the end of this year. The dusitD2 Ao Nang will be the second Dusit property in the popular resort area of Krabi. Located 25 kilometres from Krabi International Airport, the new dusitD2 Ao Nang is tucked away amidst lush jungle greenery on a hillside in downtown Ao Nang, yet within walking distance to the beach, providing convenient access to all of Krabi’s main attractions. dusitD2 Ao Nang comprises 173 modern guest rooms and suites with a choice of sea, mountain or pool views. The hotel offers all amenities for a fun and comfortable getaway, including an indoor and outdoor all-day-dining restaurant, a lobby bar, an outdoor swimming pool with a separate kids’ pool, a fitness centre, a spa, and a 200-square-metre ballroom. For families travelling with children, dusitD2 Ao Nang also features an extensive kids’ playground that will keep the hotel’s youngest guests entertained throughout their stay.